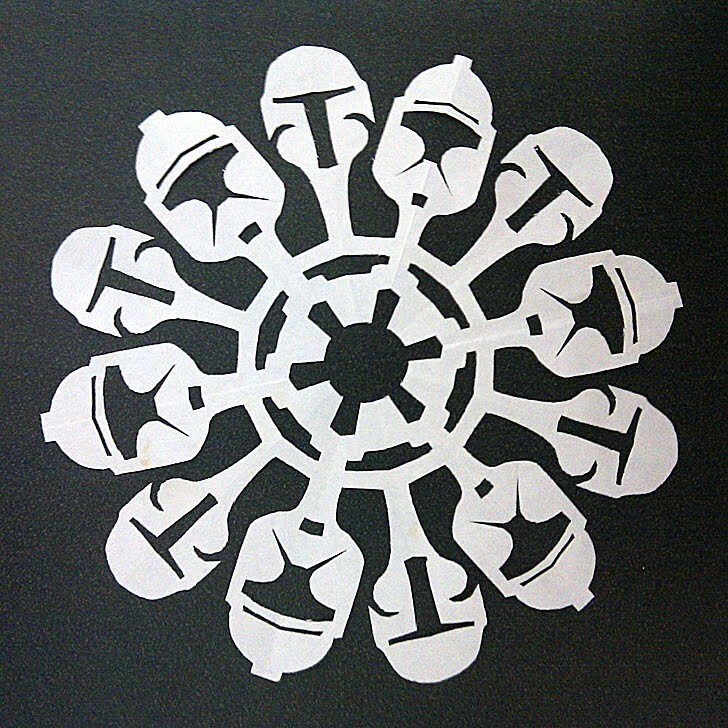 For all your geek Christmas needs, Star Wars snowflakes! 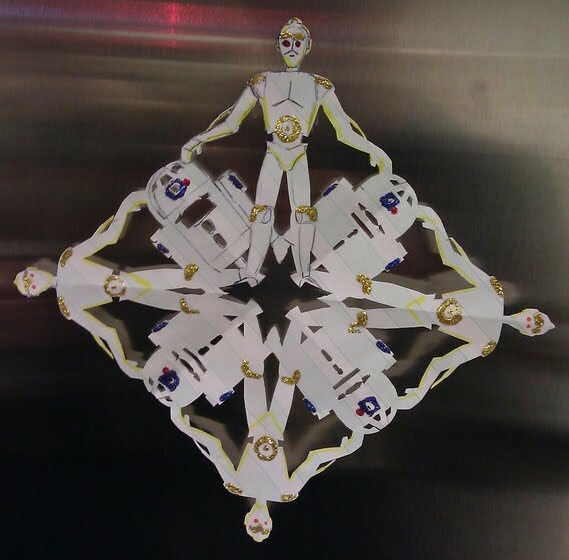 Above an R2-D2 and C-3PO paper snowflake from the fine folks at The Nerdery. 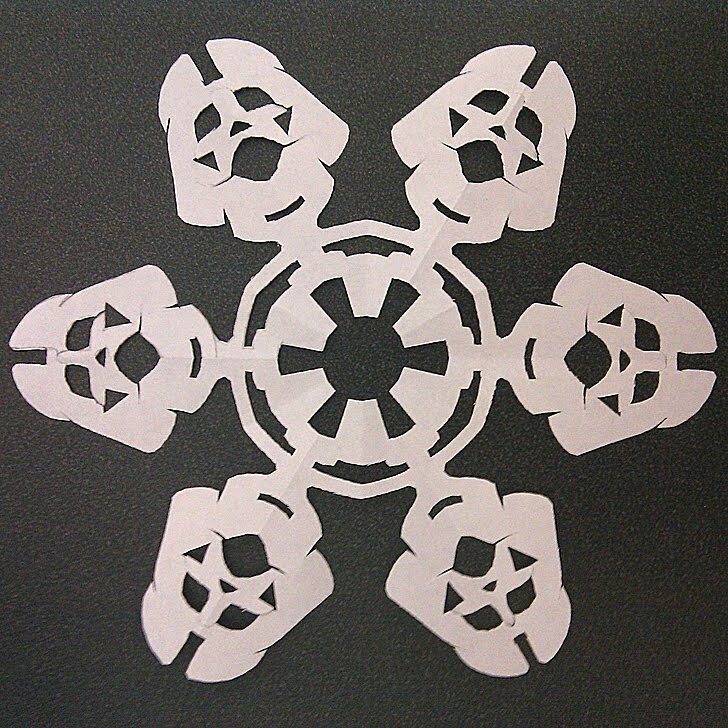 No instructions on making one though, so you're on your own. The two below both have instructions, but are still well beyond my rudimentary scissor skills. Enjoy. Have A Very Mario Christmas! The Star Wars Princess Bride — Inconceivable!